Model Building Codes, such as IBC (International Building Code), offer minimum design loads for climactic forces such as snow and wind. As building permit issuing agencies adopt codes, within their scope they can establish minimum values for their particular jurisdiction. Key word here “minimum” – least values a building may be designed for and still obtain a permit to build. I have long been an advocate for structural designs above minimum requirements. All too often potential new post frame building owners have not had adequate consultative design recommendations enough to find out increases in structural strength are often achieved with minimal investment. For an earlier article concerning this subject please see https://www.hansenpolebuildings.com/2015/11/bike-helmets-and-minimum-building-design-loads/. Balance of IBC Chapter 16, including Table 1604.5 may be perused here: https://codes.iccsafe.org/public/document/IBC2018/chapter-16-structural-design. Buildings representing a low hazard to human life in event of a failure include agricultural facilities. In most jurisdictions, detached garages and shops are also considered to be a fit and these would be considered as Risk Category I. In many areas agricultural buildings are either permit exempt, or do not have to go through structural plan reviews and inspections. Read a very expensive story about an agricultural building using minimal requirements: https://www.sbcmag.info/content/9/design-load-reductions-risk. Risk Category I buildings are designed to allow for an occurrence greater than minimum design loads of once in 25 years (or a 4% chance in any given year). In theory, all buildings in this category should collapse within 25 years of construction. Shopping for a new post frame building and want yours to be last one standing when a storm of a century comes to visit? If so, I would hope whomever you are speaking with offers options of increasing Risk Category from I to II. And bumping up snow loads by 5, 10 or even more pounds per square foot and/or increasing design wind speed by a few more miles per hour. If you are not offered these options – ask for them. I’d like to have your building be left standing! This entry was posted in Pole Barn Design, Building Department, Pole Barn Planning and tagged International Building Code, IBC, snow loads, building risk category, building occupancy category, Risk Category I on August 22, 2018 by admin. I will first qualify myself – I attended the University of Idaho in architecture. 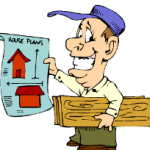 I was a manager or owner in the prefabricated wood truss business for over 20 years. 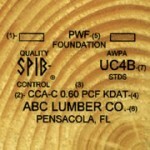 I’ve been a registered general contractor in four states, In 1987 I joined ICBO (they write the Codes) as well as ASAE (American Society of Agricultural Engineers) and was a sitting member on the committees which established the huge majority of the structural design criteria for post frame (pole) buildings. I have had the privilege of being involved in the structural design of nearly 20,000 buildings in every U.S. state. 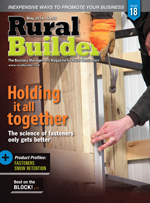 I am a contributing writer for Rural Builder magazine. In my humble opinion – anyone who wants to “run bare” without Building Code minimum standards being applied to their new structures is out of their freaking mind. 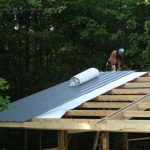 The Building Codes are designed specifically to protect the safety and lives of those who occupy (or are in the vicinity of) structures. The Code requirements are ‘minimum’ standards, which are just scraping by – however something is better than nothing. For residential occupancies, the risk (under Code) is a once in every 50 year probability of the design loads for a given home to be exceeded! And yet there are some who would do away with even this minimal amount of protection. I am not at all an advocate of governmental intervention, however only a fool acts as their own engineer. I deal, on a daily basis, with challenges posed from new building owners who have had under designed buildings constructed in jurisdictions which do not require structural plan reviews. Mr. Tyler’s concern about homes having been built on unstable ground is not the fault of the Code, but the fault of the agencies which issued the permits. A geotechnical study should be done for the proposed site of any new structure – this allows the RDP (Registered Design Professional – architect or engineer) who designs the structure to have adequate information to be able to properly address foundation challenges, before they become foundation issues. The Code does not mandate engineered soils reports. As to length of warranty provided by builders – an educated new building owner will look for a builder who offers an extended warranty. This, again, is not a function of the Code. Having accurate information about snow loads is crucial to proper structural design. The 2015 edition of Ground Snow Loads for Idaho was produced by the Department of Civil Engineering at the University of Idaho. Based upon 31 more years of snowfall study than the previously used document – it appears Ground Snow Loads in Kootenai County should range from 43 to 100 psf (pounds per square foot) depending upon one’s location within the county. Several factors go into calculation of Ps (sloped roof snow load) from Pg (ground snow load) including exposure to wind, is structure heated or not, importance of building, slope of roof and roofing material. In many instances the calculated Ps load is going to be higher than the currently accepted 40 psf. Will this add to construction costs? Yes. Will it help prevent failures and possible loss of life? Yes. What is the value of even a single life? Rather than throwing the baby out with the bath water, my advice is to require every single building to be designed per current Code to include plans which are sealed by a Registered Design Professional. 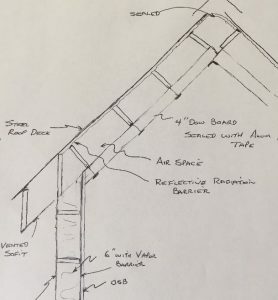 This entry was posted in Pole Barn Design, About The Pole Barn Guru, Building Department, Pole Barn Structure, Professional Engineer and tagged RDP, registered design professional, snow loads, geotechnical study on December 14, 2017 by admin. Back in the early 1990’s, when I was building pole buildings, we had constructed a monitor barn for some clients in the Libby, Montana area. For those who are not familiar with the term “monitor barn” it is a main gabled roof, with side sheds or “wings” on each eave side. The height of the wings is such as the high side of the wing is below the eave height of the gabled roof. 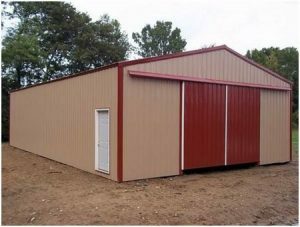 Monitor style roofs are very popular in the horse community, as the wings can be utilized for horse stalls, tack and wash rooms, while the raised center affords height to allow for a second floor or loft for either living quarters, hay or other storage. 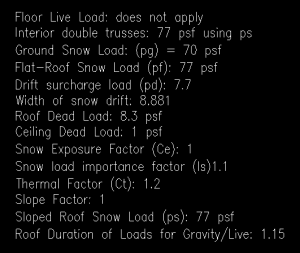 In today’s world the IBC (International Building Code) follows provisions to calculate sloped roof snow loads (Ps) from ground snow loads (Pg). 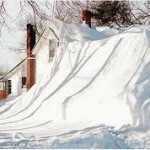 To refresh yourself on how this works, please read: https://www.hansenpolebuildings.com/blog/2012/02/snow-loads/. 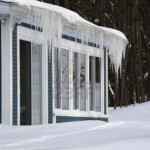 For applications in snow country, the IBC also requires roofs to be designed for unbalanced loads due to snow drifting. On gabled roofs, drifting can account for snow blowing from one side of a roof, forming a deep berm close to or at the peak of the opposite side of the roof. With monitor barns, drifting can also occur at the upper portion of the wings, against the taller gabled center. Current roof snow design theory also takes into account snow sliding off from the upper gabled roof, onto the lower monitor roof. 20 plus years ago, things were far simpler, although not nearly as advanced technologically. For the area around Libby, it was generally considered good practice to design for the roof systems to handle a snow load of 40 to 55 psf (pounds per square foot). Meanwhile, back at the ranch (actually back to our original story), a winter or two after this particular building was constructed – it snowed. A lot. Enough so it gave the appearance of Mother Nature actually making an attempt to use probability to create two exactly identical snowflakes. Eventually the snow got to be so deep on the upper gabled roof of the monitor barn so as to create an avalanche of snow sliding off the roof and impacting the lower wing roofs. This impact was so great, it actually went through the roof steel – breaking several roof purlins on the way and creating some unique snow sculptures on the floor inside the building. Amazingly, the rafters supporting the wing roof did not fail! 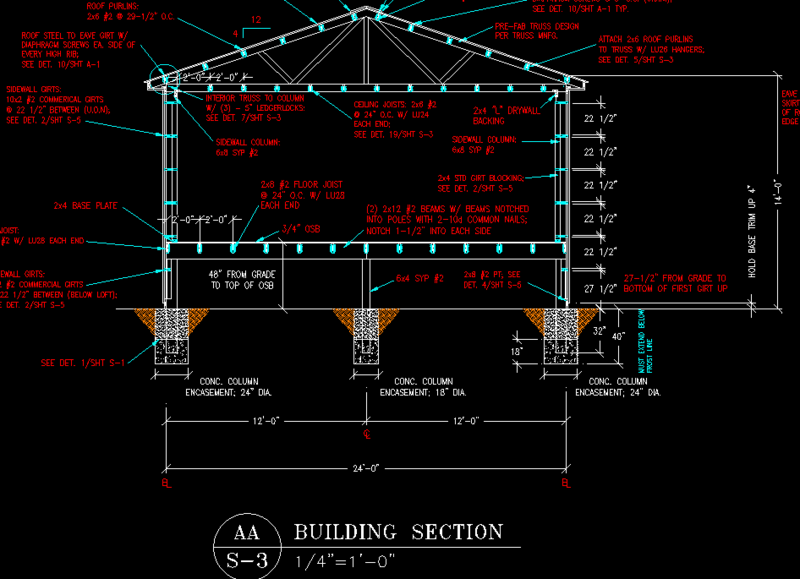 This morning I have been working on the structural design of a monitor barn where the ground snow load is 120 psf. Big snow – glad I do not have to shovel it. The original design concept has the center gable 12 feet wide with an 18 foot eave height. Along each side is a 10 foot wide wing, which slopes from 11’4” to eight foot at the low side. There are some things which can be adjusted in this design, to reduce the investment for the client (as well as reducing the probability for structural failure). By increasing the height of the wings, the price decreased and the useable space inside the wings increased! How is this? It reduced the height difference between the center gable and the top of the wing roofs – less area for snow to drift against and less of a distance for snow to drop from the upper roof. In this instance the perfect balance came with a wing eave height of 11’6”. Adding snow breaks onto the upper gable roof also reduced the price. The 12 foot span truss cost was not greatly impacted by the added load from keeping the snow on the upper roof and the “whump” factor of snow sliding off onto the lower wing roofs went away! 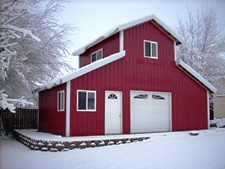 With some flexibility in design monitor barns in snow country can be made more affordable and most importantly – safer. 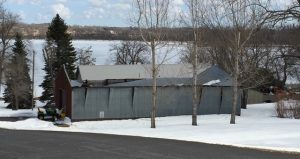 This entry was posted in Building Styles and Designs, Budget and tagged pole barns, high snow load, monitor barns, snow loads on May 12, 2015 by admin.